Gary Paul Rhodes was born September 17, 1959 in Lawton, Oklahoma. Gary was raised in the Texas City/La Marque area. Gary attended La Marque High School and graduated in 1979. Gary joined Christian Fellowship Baptist Church of Dickinson, Texas at an early age. He is preceded in death by his parents, Henry L. Rhodes, Sr. (father) and Bobbie Jean Rhodes (mother); grandparents, Johnnie and Bessie Rhodes and Earnest and Sarah Scott; siblings, Henry L. Rhodes, Jr., Rosie Wynne and Gaynell Ford. A public visitation will be held Saturday, January 12th at 11:00 a.m. followed by a celebration of his life at 1:00 p.m. 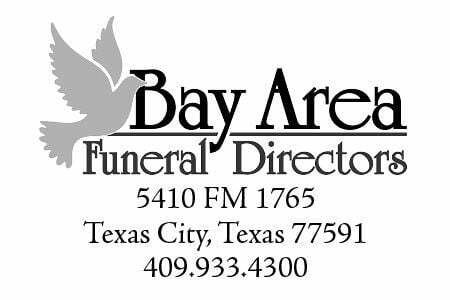 Both events will be held at the chapel at Bay Area Funeral Directors – 5410 FM 1765 (facing Highway 3) in Texas City, TX 77591. 409-933-4300.